Great basic beginners backpacking tent! 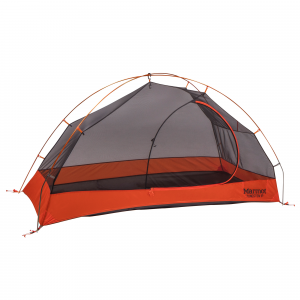 The Zephyr is the same tent as the Zenith but marketed under a different name. I've used my tent on approximately 12 nights backpacking and about 25 nights car camping mostly on the AT and in the Midwest. Setup: After getting used to the asymmetrical pole arrangement, setup is super easy! Occasionally while setting up in the dark, it does still take me a minute or two to figure out which side of the tent is which. However, I've never had any issues in setting up solo. Weight: Not the lightest tent in the world, but for the price this makes a great entry level tent for someone who doesn't want to buy two tents for solo and group trips. Rain: I've been in quite a few rainstorms with this tent! I've had some issues in rain once when I had left some gear in the tent and hadn't fully guyed out the fly. I didn't expect rain, and if I would have properly set it up, I don't think I would have had any problems. The top of the tent does collect some water over time because of the placement of a cross bar. It seems like they did not account for the natural wear of the fly over time. If it is a hard rain then I just push the water off every couple of hours. Ventilation: I've never had any condensation at all. Durability: This summer the edge of the fly began to tear after a child tripped over the line staking it out. Not really the tent's fault. Size: Like most backpacking tents, three people would be pretty snug for this tent. Two is perfect, and going solo makes it feel like a castle! Other: I recently went camping in a friend's more expensive backpacking tent in Oregon; it was more difficult to set up and I was really surprised that the zippers kept getting stuck. I've never had any issues with the zippers on the tent or fly. I didn't realize how annoying it would be. Reasons Not to Buy: You want a lighter tent. You want a tent that can actually fit three people. You anticipate having consistent hard rain. Welcome to Trailspace, inthewoods! Thanks for sharing your review of your Zephyr. I'd love to see some pictures of your setup, if you're willing to add some to your review. Held up well on winter trip in Smokies, very windy and we did not worry about it lasting the night. I am 5' 10" and I fit fine but taller individuals might have headroom issues. No leaks during a rainstorm on an autumn AT trip. Small amount of condensation in morning. I have owned this tent for over 2 years and have taken it on several trips along the AT and one in the Gila Wilderness. I have found it easy to set up and like the double doors and vestibules. It has held up well in windy winter weather and autumn rain showers I have stayed dry without much flap. I have had small amounts of condensation on the insides of the fly but not so much that I had drips. Plenty of sleeping and head room for hikers 6' or less but only minimal room for gear in tent. Vestibules can accommodate extra gear and when open allow for plenty of ventilation. Very happy with the weight, light but unfortunately not ultralight. The price I paid for the tent made it a good value. I got the optional ground cloth so you can set up the ground cloth and fly to save weight when bugs are not and issue. Enough room for 2 to sleep comfortably. Zip down doors on each side of the tent for easy access. Plenty of room for a backpacking pack and boots under each side of the rain fly. The fly comes already sealed and has worked well so far. I've been through 2 rainstorms which lasted all night and I've had a couple tiny drips which needed to be resealed which was simple to do. Got it on steepandcheap.com for 87 bucks so if you can find it for under 100 it's a great buy. Lightweight tent as well for backpacking. My wife and I spent 7 nights in this baby. Rain, frost and sunshine. Frost — 10 degrees warmer inside than outside temp. Rain- her sided leaked a little. 9 hr rain. I resealed the seams and waterproofed it again. Hope it is ok.
Sunshine as you see no rainfly 3 nights!! GREAT tent for the money!! I am very pleased with this tent!!! I am new to backpacking so I have only used a few tents but I must say that not only am I impressed with this tent but my buddies are as well!!! They use North Face and Sierra Designs and tell me that for the money my tent is superior!!! The real pleasure of this tent is the company that stands behind it....I had this tent for about 6 months and noticed a small rip developing in the corner. Emailed Alps Mountaineering, told them my problem and within 1 week I had shipped it off I received a brand new one!!! 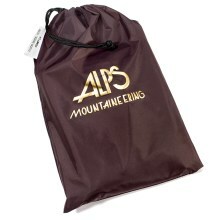 Alps Mountainering is a company that stands behind their product and in this day and age that is more valuable than anything to me!! I've spent 5 nights in mine so far, 3 in moderate to heavy rain. For the price, this can't be beat. 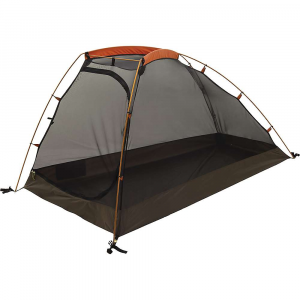 I was looking at the REI 3-man Quarterdome, but I saved about $200 by going with this tent at a claimed 3 oz weight penalty. It was totally worth it. I will focus more on the shortfalls of the tent rather than the performance (which was quite good) since that's what I like to read in reviews. 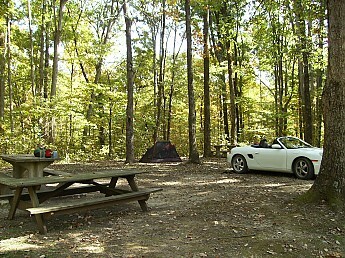 Unless you are really close to your tent mates, this is better suited to 2 people and not 3 (as with most 3 man tents). We did take on a very small amount of water. I used the specific Alps Mountaineering footprint and it extended about an inch beyond the foot end of the tent allowing the rain fly to drip onto it. Due to the shape of the ground under the tent, there was some puddling between the footprint and the tent. After 2 days of rain, some water soaked through the floor. If I had paid closer attention, this was avoidable, but who wants to inspect that they have the perfect site when it is already raining before the tent is up? It wasn't bad, just worth mentioning. The vestibule openings are designed such that, when they are opened in the rain, water can drip in the tent. Solution: don't open the vestibule all the way. 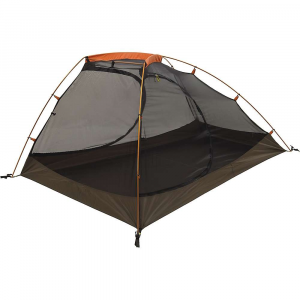 If you are not into staking down your tent, with the rain fly, this tent requires no less than 3 stakes. Not a big deal unless you are camping on rock. No stakes required if you don't use the rain fly. As I said before, I focused on the negative for most of this review. This is a very good tent. It held its own at Canyonlands NP this past weekend standing next to an REI Half Dome (2-man) and a North Face single-wall (2-man) tent. I was completely pleased and find it hard to justify the price of any other tent in the same weight class . The weight of a 2 person tent, more space, and cheaper. BTW: I called Alps Mountaineering. If you see tents at other sites named either the Zenith or the Zephyr, they are the same tent.